The name of the album is the complete emphasis, Everchanger. Deliberate, but at times subtle guitar riffs, repetitive yet unorthodox drum beats, metal to electronic sounding, screaming to harmonizing vocals. Don’t hear something you like? Give it about 30 seconds as this album throws a different tempo, cresendo, or decresendo at the listeners. 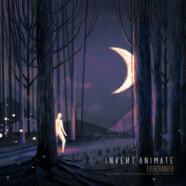 Following up their EP Waves, Texas Metalcore Band, Invent Animate, released their first full length album Everchanger in August of 2014. The album starts out with “Sol” a seemingly slow start for a band that is constantly in your face. But wait- “Naturehold” shoves it right in your face with an intricate web of sick beats and guitar riffs. With a similar sound to The Amity Affliction, the constant changes makes hard to define where the band is at as a whole. Are you into lyrics? This may not totally be the album for you as the lyrics are short of amazing but the instrumentals used in the songs such as “Nocturne: Lost Faith” and “Forest Haven” are executed rather well. Ultimately the complexity and uncharacteristic changes throughout the album make it rather hard to portray to a listener with tremendous accuracy what to expect.